I’m gonna start this post by admitting that I already have a recipe for a chocolate brownie in a mug on this blog . Which begs the question: do we need another one? The answer is: yes, we do. First off, there’s no such thing as too many brownies— we can all agree on this one, am I right? Secondly, this recipe is drastically different from the other one: it’s eggless, dairy-free, nut-free, vegan and not really paleo. But it’s still so very delicious, simple, quick, and easy to make. 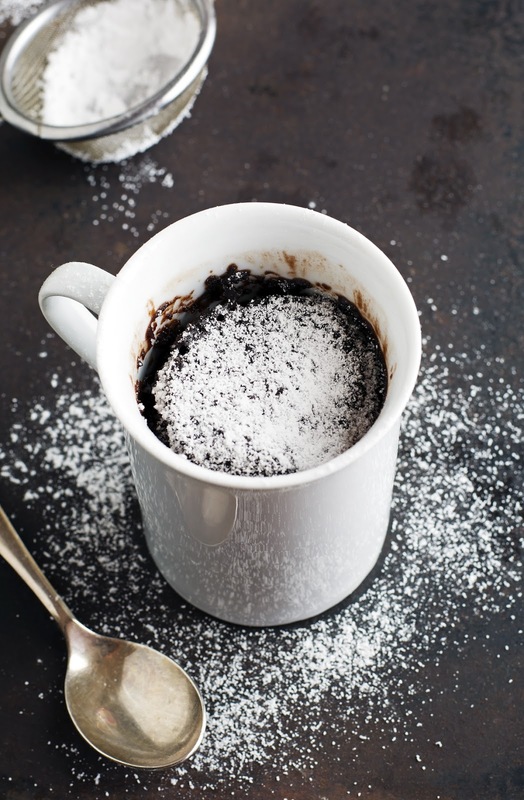 For those times when you need something rich, fudgy, and chocolatey and you want it immediately, this Easy 3-Minute Brownie in a Mug is the recipe for you. It is unbelievably simple to make and it will make you dive into a warm brownie in a matter of minutes. Although this recipe makes one brownie in a mug, it’s definitely enough to serve two adults. It’s very rich and satisfying, and a little goes a long way. However, you’re under no obligation to share it. The brownie is prepared in the actual mug and I measure out the ingredients using just one tablespoon. I do not want a bunch of dirty dishes and measuring cups, tablespoons, and teaspoons to make a mug brownie. However, it is important to measure the ingredients properly. Otherwise it’ll get too cakey or too chewy. 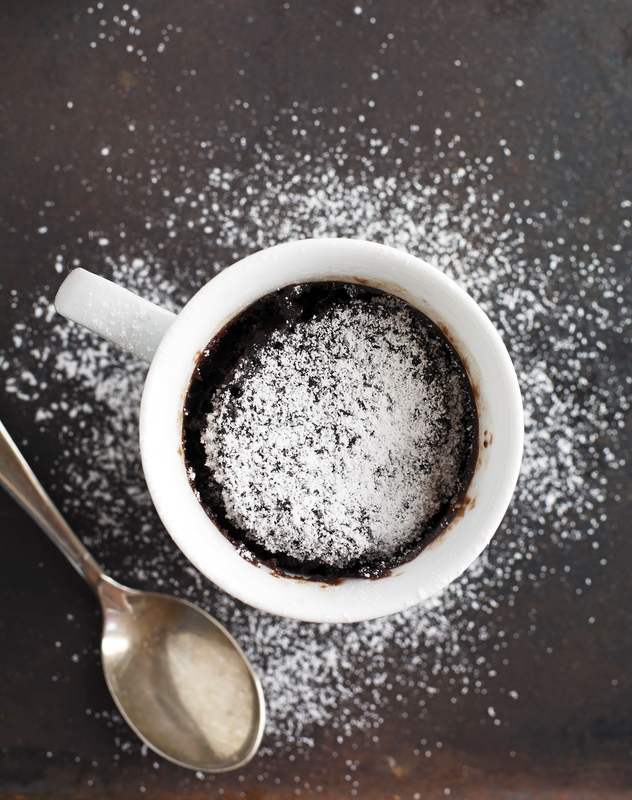 Made in one mug, in less than 5 minutes, this recipe will definitely satisfy a brownie craving. So what are you waiting for? Go make some! 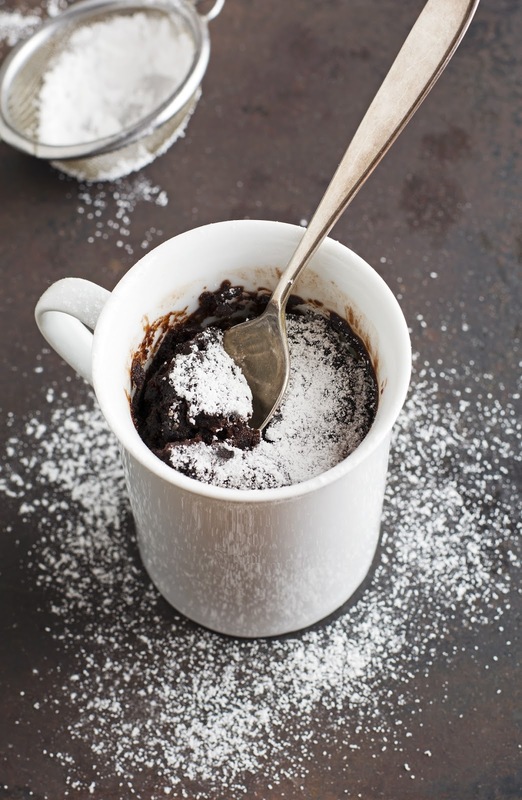 (Vegan) Easy 3-Minute Brownie In A Mug Print this recipe! Though this recipe makes one brownie in a mug, I would say that is definitely enough to serve two adults. 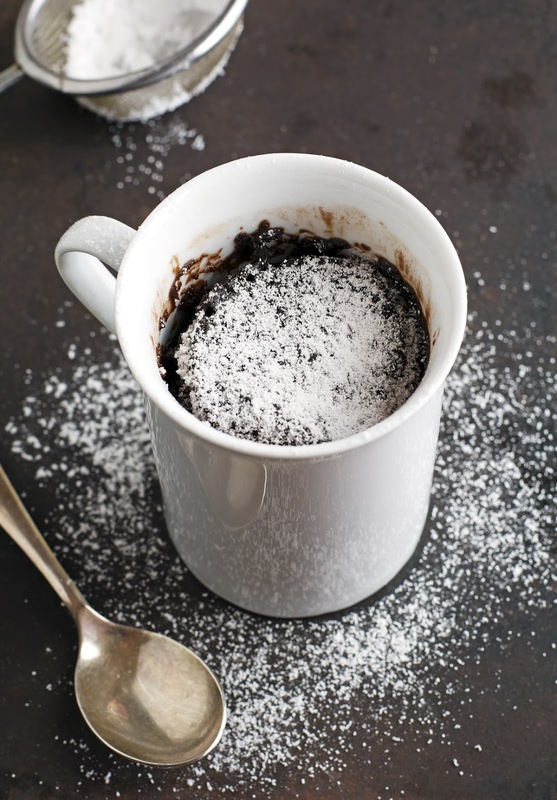 Place flour, sweetener, cocoa powder, and salt in a microwave-safe mug. Stir with a fork to break-up any clumps. Add wet ingredients and stir until the mixture is smooth and there are no visible lumps. One serving yields 294 calories, 15 grams of fat, 41 grams of carbs, and 3 grams of protein.